A scientist, conservationist, peacemaker, and mentor, Jane Goodall is an astounding nominee for the 2019 Nobel Peace Prize. With over 50 years of work and dedication, Goodall has proven a legacy for the protection of wildlife and conservation of the environment to ensure a better future for all inhabitants of the world. At 85 years old, Jane continues her studies by touring place to place and spreading the message of hope as a United Nations Messenger of Peace. 1960 - Jane observes groups of chimps and learns that they eat meat, hunt, and make and use tools. 1963 - National Geographic publishes a cover story about Jane and her research on chimpanzees. 1965 - National Geographic films “Miss Goodall and the Wild Chimpanzees” and airs their film internationally. 1977 - The Jane Goodall Institute is founded for the continuation of chimpanzee research, conservation efforts, and environmental education and mentorship. 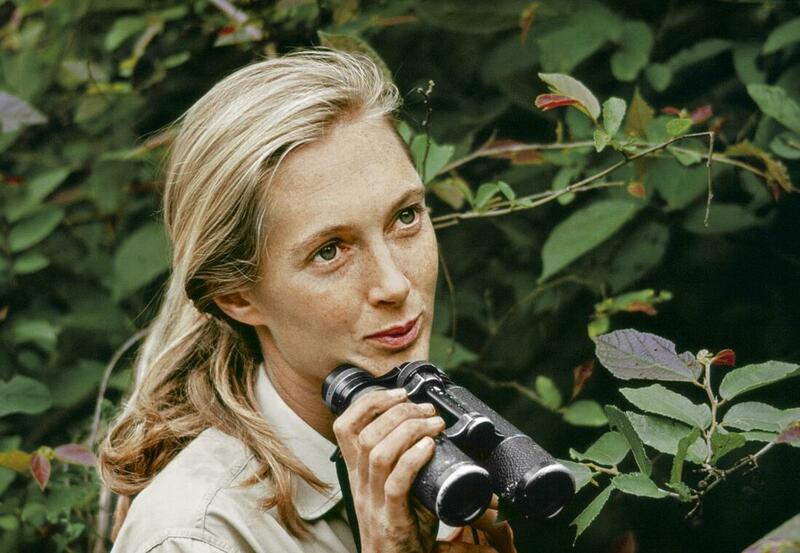 1986 - Dr. Jane Goodall becomes an activist and switches her focus to a broad animal-human conservation approach, rather than the mere study through observation and research. 1991 - Roots & Shoots is founded to encourage youth around the world to pursue their passions and become leaders in promoting a better future for people, animals, and the environment. 1991 - The Jane Goodall Institute establishes the Tchimpounga Chimpanzee Rehabilitation Center to provide and care to now more than 150 orphaned chimpanzees. 1994 - Jane starts community-conservation work in Tanzania. 2004 - Jane is named a UN Messenger of Peace. 2005 - The Jane Goodall Institute establishes a formal conservation action plan focused around Gombe Stream National Park. 2005 - Jane is awarded the Jackson Wild Legacy Award. 2010 - The 50th Anniversary of Jane’s research in Gombe, making it the longest continuous study of chimpanzees in the world. 2016 - The 25th Anniversary of Roots & Shoots, reaching nearly 100 countries and a network of youth following Jane’s conservation ethics and examples. 2017 - The 40th Anniversary of The Jane Goodall Institute and its expansion into a global mission. 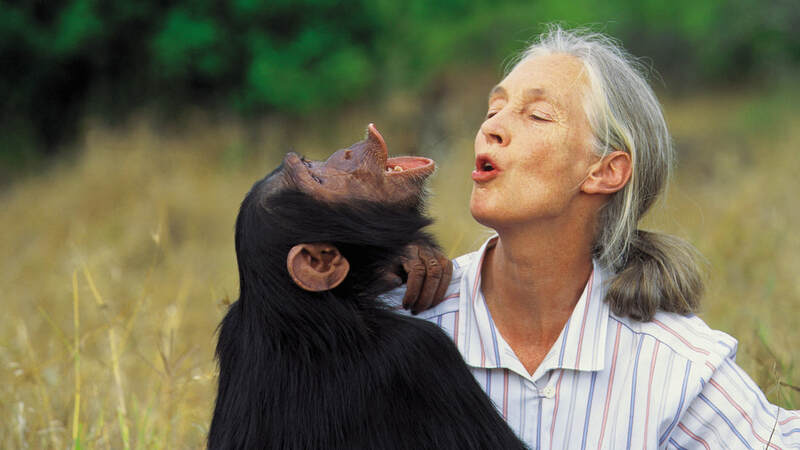 2019 - Jane celebrates her 85th birthday and continues to spread the message of hope through lectures on protecting chimpanzees from extinction, species conservation, and the urgency of global environmental crises. 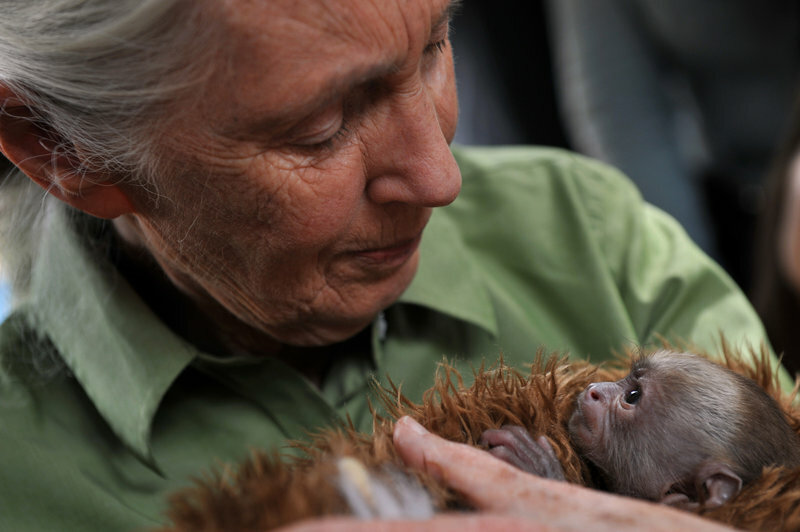 Jane Goodall has promoted a sense of peace for the world and its entirety. She did not stop at the study of chimpanzees. She grew a legacy with The Jane Goodall Institute which has inspired the world to continue to grow her mission of peace between people, wildlife, and the environment. Goodall has spent a lifetime of dedication to what began as her passionate research on chimpanzees. Through Goodall’s research and inspiration to our world’s youth, we have learned much of how each individual can contribute and make a difference for the sake of all wildlife, human beings, and our precious planet. Filmed along Africa’s Grumeti River in Tanzania, Here Be Dragons chronicles the lives of the last surviving link to the dinosaur age – crocodiles. Both the cinematography and its subject matter are compelling, whether the “dragons” are using their famously powerful jaws to crush wildlife or tenderly carry their young. This film broke ITV viewing records with an audience figure of over 11 million. Bringing The Lion King to life, Eternal Enemies examines the intense rivalry between African lions and spotted hyenas. The story line dispels myths about the “king of beasts” and the “foolish, scavenging hyena.” Producers Dereck and Beverly Joubert (2013 Jackson Wild Legacy Award Winners) have lived and worked in the Savuti area of northern Botswana for ten years. The animals, accustomed to their presence, allowed the couple to capture their footage, much of it shot at night. David Attenborough braves mountainous seas, blizzards, and temperatures of minus 60 degrees as he journeys from the sub-Antarctic island of South Georgia to the South Pole, to uncover the secrets of the Antarctic as part of the series Life in the Freezer. Another BBC Series program walks away with the Grand Teton Award for People of the Sea. This program tells the story of Newfoundland from a native’s point of view – exploring the history, wildlife, and the modern day dangers of technology and globalization threatening Newfoundlanders’ way of life. Utuniarsuak Avike, 87-year-old native Inuit hunter in northwest Greenland, is the star of Vision Man. Utuniarsuak Avike is an 87-year-old native Inuit hunter in northwest Greenland who has lived through the transition of this peoples’ 4000-year-old culture into a Western equivalent. Now confined to a small apartment, Avike tells of the life that lies behind him: fishing, dogsledding, coexisting with wolves and walruses and the ritual religious hunting of the polar bear. Not only does this vision man share his well-spent life but he also sheds light on a culture steadily eroding in this changing world. The power couple, Mark Deeble and Victoria Stone, once again took home the Grand Teton Award! They were also the first producers to ever win the award for their film Here Be Dragons (1991). The couple spent two years camped with their young children to document the remarkable way in which a family of hippos brings life to crystal-clear African spring. Using cutting-edge diving techniques and developing their own underwater camera system – they took their lenses into the mouth of hippos and crocodiles to document revelatory behavior – new even to science. The result is a film that reveals the intricate pyramid of life that a hippo school supports, and the astonishing and eventually shocking behavior that is hidden beneath the calm surface of Mzima spring. Primatologist Frans de Waal claims that apes share with us the most precious jewel in our evolutionary crown: culture. This 60-minute film explores the remarkable depth of similarity between ourselves and our nearest relatives – apes. From Alaska to Maine, Montana to New Mexico, Native American activists are fighting the “New Indian Wars” to both preserve their sovereignty and protect Indian lands against disastrous environmental hazards. Nearly all of the Indian nations sit on land threatened by toxic waste, strip mining, oil drilling and nuclear contamination. At a time when 30 years of environmental law is being dismantled, Native Americans are organizing to fight corporations and government. 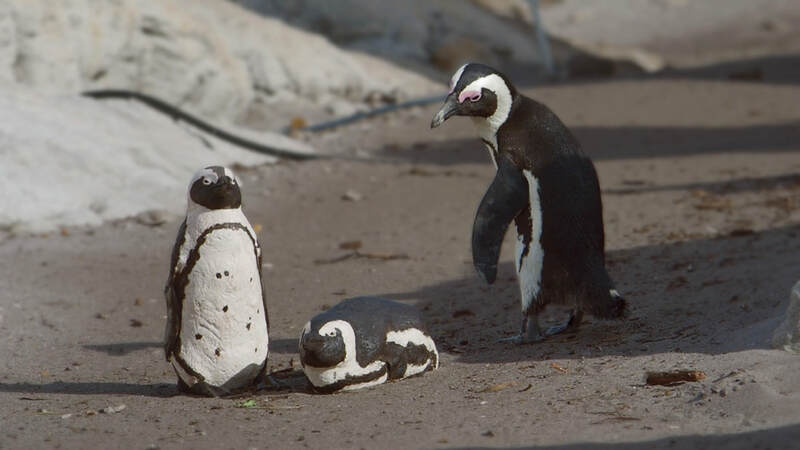 This opening episode travels with the islands through the fascinating stages of their lives, and reveals how creatures have found the most enterprising ways to get to grips with the restless Pacific outpost. Witness the dramatic eruption of the largest of all the Galapagos volcanoes, Sierra Negra, blowing smoke and ash seven miles in to the sky; Galapagos giant tortoises, the largest on Earth, being groomed by Darwin’s finches; and the magical courtship display of the waved albatross. Her name is Green, she is alone in a world that doesn’t belong to her. She is a female orangutan, victim of deforestation and resource exploitation. This film is an emotional journey with Green’s final days. It is a visual ride presenting the devastating impacts of logging and land clearing for palm oil plantations, the choking haze created by rainforest fires and the tragic end of rainforest biodiversity. We watch the effects of consumerism and are faced with our personal accountability in the loss of the world’s rainforest treasures. Broken Tail was the most flamboyant tiger cub Colin Stafford-Johnson had ever seen during many years spent filming India’s wild tigers. And then the cub went on the run, leaving his sanctuary, surviving for almost a year where many said it was impossible in the unprotected badlands of rural Rajasthan. Tracking his extraordinary journey, Colin and his soundman, Salim, piece together Broken Tail’s final days, and through his story, uncover stark truths about India’s last wild tigers. From PBS - The Shannon is Ireland's greatest geographical landmark and the longest river. It is both a barrier and highway - a silver ribbon holding back the rugged landscapes of the west from the gentler plains to the east. On its journey south, the Shannon passes through a huge palette of rural landscapes; where on little-known backwaters, Ireland's wild animals and plants still thrive as almost nowhere else. For a year, wildlife cameraman Colin Stafford-Johnson lives on the river - camping on its banks, exploring its countless tributaries in a traditional canoe, following the river from dawn to dusk through the four seasons, on a quest to film the natural history of the Shannon as it has never been seen or heard or experienced before. As the Large Hadron Collider is about to be launched for the first time, physicists are on the cusp of the greatest scientific discovery of all time -- or perhaps their greatest failure. An award-winning documentary about Rohani, an 80-year-old hunter who dives on a single breath descending to great depths for several minutes. Set against the spectacular backdrop of the Togian Islands of Indonesia. Sir David Attenborough explores the world of bio-luminescence, the often spectacular natural light produced by some creatures. Specially designed cameras reveal nature's leading lights. Wildlife activists take on poachers in an effort to end illegal ivory trade in Africa. Ivory is a prized status symbol for middle-class Chinese, and poachers in pursuit of white gold are slaughtering African elephants in record numbers. Filmmakers went under cover for 16 months, infiltrating and documenting the deep-rooted corruption at the heart of the global ivory trafficking crisis. ​Few creatures have revealed as many biological secrets about the workings of life on Earth as the backyard lizard known as the anole. 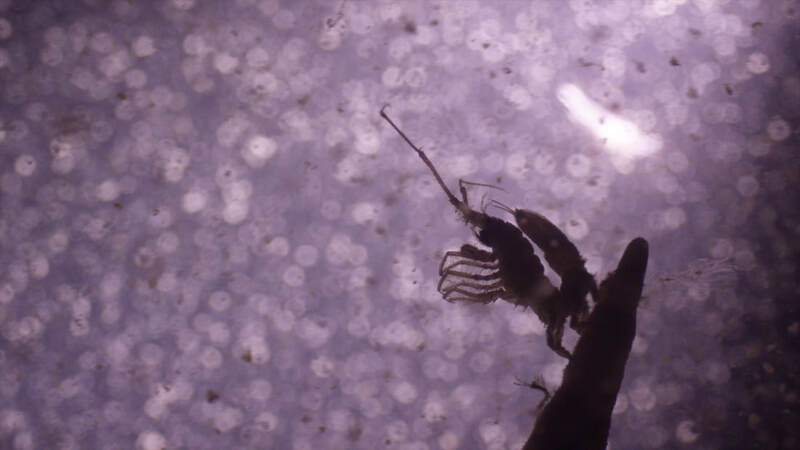 Join biologists Neil Losin and Nate Dappen on their yearlong examination of this humble but fascinating creature and its remarkable powers of adaptation. It's a whirlwind journey that takes us from Caribbean rainforests to high-tech labs to the city of Miami, leading to incredible discoveries about the laws of the lizard. In summary, the Grand Teton Award winners have compelling story lines that explore the complex issues that develop between people and the natural world – uncovering the unflattering side of both of these worlds. Big production companies, like BBC and National Geographic, have taken home quite a few of these awards over the years. However, Grand Teton Awards have gone to independent production companies on many occasions as well, which is very impressive especially when they are running up against veteran, power companies like National Geographic. It goes to show that this competition truly celebrates the best of nature storytelling, no matter the source or the budget that goes into the project. We can't wait to see who will take home the Grand Teton Award in 2019! Whale Wisdom Trailer from Jackson Wild on Vimeo. 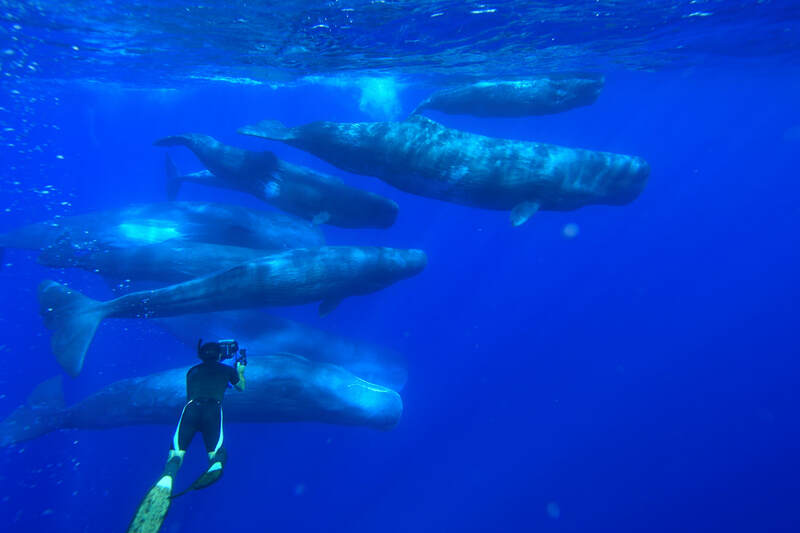 Director and Cameraman Rick Rosenthal: After filming whales for many years, I felt it was time to tell a different story- one that would focus on whale intelligence, and ask the question- how smart are whales? RR: Yes. We did not expect to film (1) Humpback whales outsmarting humans to get what they want, (2) Gray whales surfing, (3) Sperm whales playing ball and (4) Killer whales catching the dangerous Whiptail sting ray. 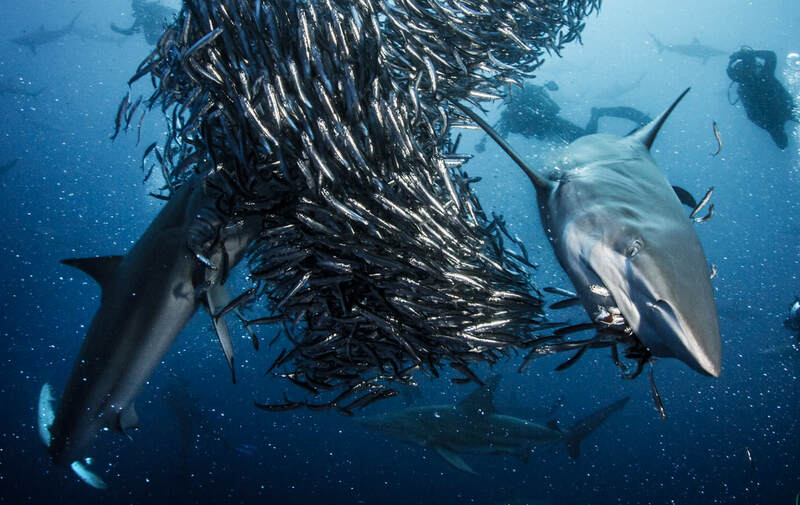 RR: I hope that we will finally accept the fact that there are highly intelligent species in the ocean that are capable of figuring out complex problems, with feelings not unlike our own. There is much more to whale behavior than just instinct. Learning and passing on knowledge is a key component of whale behavior and it’s one of our definitions of culture. RR: One of the main challenges were uncertainties with weather, especially in working out in the open ocean. There were also difficulties in getting reliable information about the location of the whales, and challenges with having the budget to spend enough time in the field to capture the behavior. 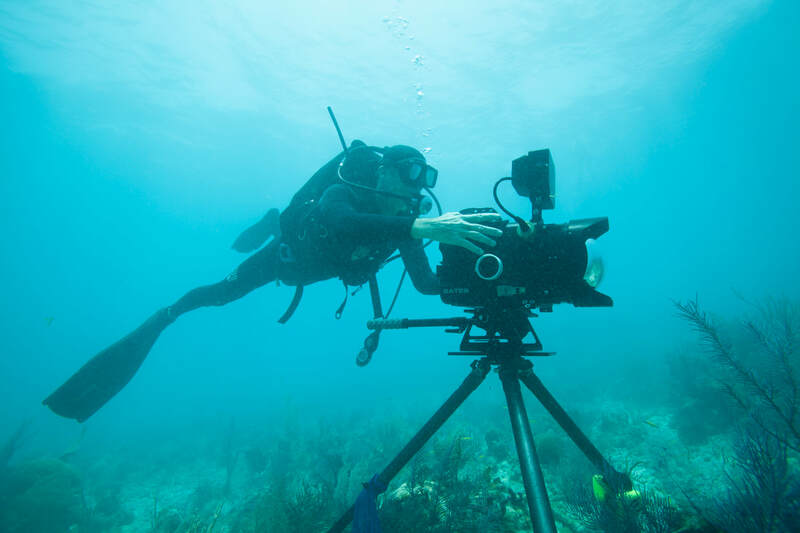 ​What drove you as a filmmaker to focus on our oceans and marine life? 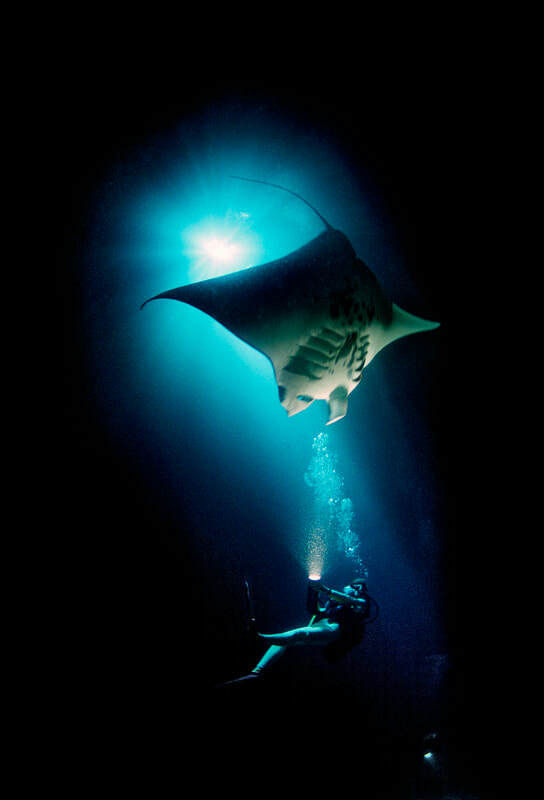 RR: I have spent more than 50 years doing research and filming marine life, so it was a natural to tackle this subject. 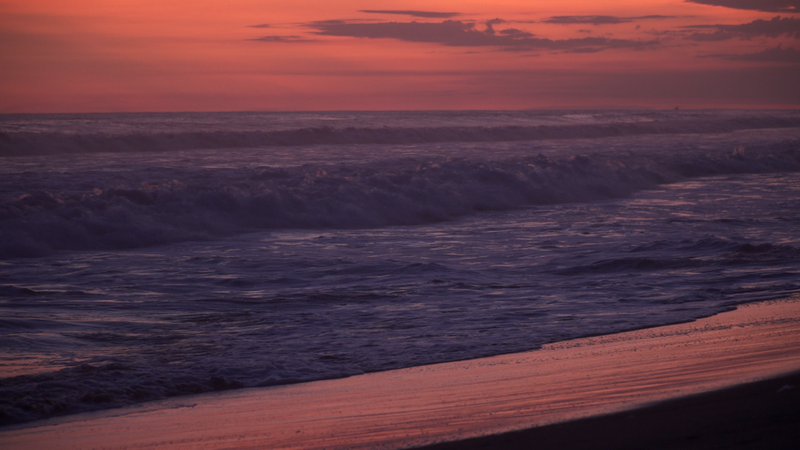 Treasures From the Tides Trailer from Jackson Wild on Vimeo. ​Producer Catherine Brookes: Conservation at the community level allows people and wildlife to thrive alongside one another and is vital in the protection of our planet. I wanted to tell a story that perfectly exemplified the positive impacts that such initiatives can create. When I first learnt about the work of this amazing all-female sea turtle conservation team, I knew their story had to be shared. 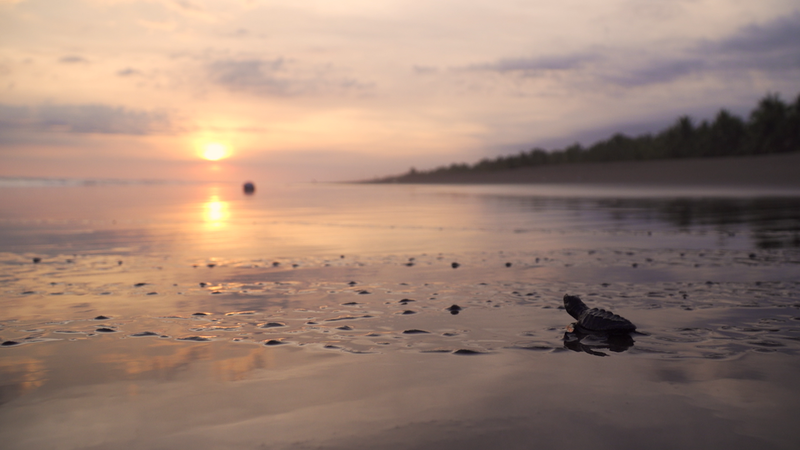 The results of their efforts have not come easy and their journey to running a successful sea turtle hatchery is compelling, inspirational and a story that I hoped would resonate with a wide audience. CB: As awareness rises about the devastating impacts that ocean plastics and climate change are having on our marine species, a lesser-known threat is often overlooked. 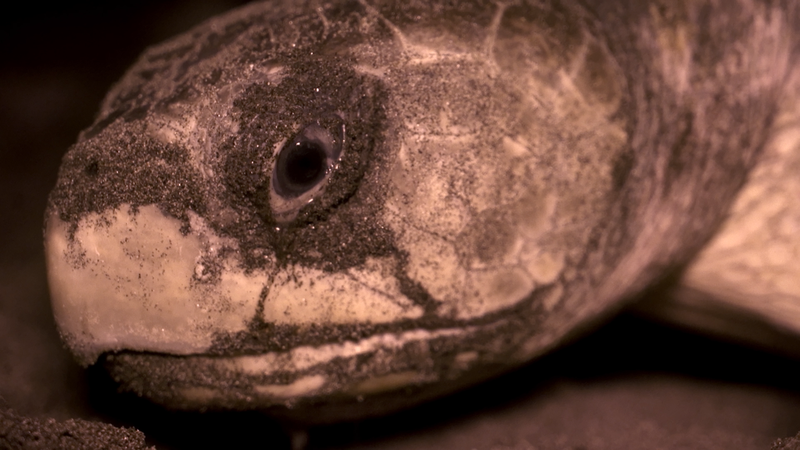 This film aims to shed light on the vast-scale issue that is the poaching of sea turtle eggs, as well as giving recognition to an incredibly dedicated team of conservationists. This community has found a successful formula that is benefitting both their people and their wildlife. I hope this film can inspire more charities and NGOs to replicate this model worldwide. I also hope to encourage and empower more women to break stereotypes and pursue their passions. This film has given Barra de Santiago's women a chance to speak out about their experiences and shed light on the importance of women in science and conservation. 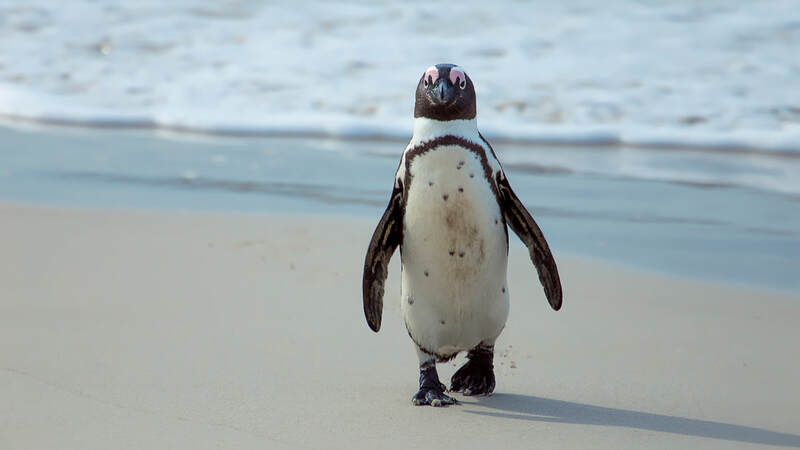 ​CB: This is a critical time for preserving our oceans and marine life. The world's oceans and the delicately balanced ecosystems within them are essential to life on earth. The rate at which they are being depleted and polluted is alarming. 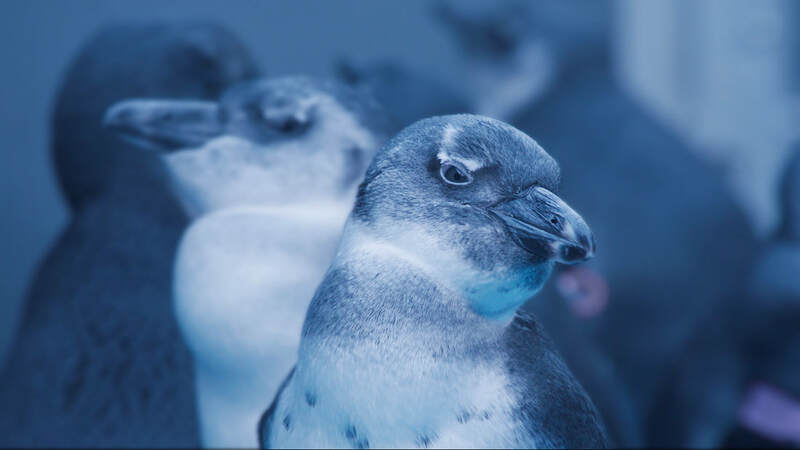 Raising awareness about the threats facing our marine environment is an important step in its protection, and storytelling through the medium of film is a powerful tool for spreading conservation messages. As a biologist who has long been captivated by the ocean and its wildlife, I was excited to create something that could inspire a deeper interest in marine conservation in others. 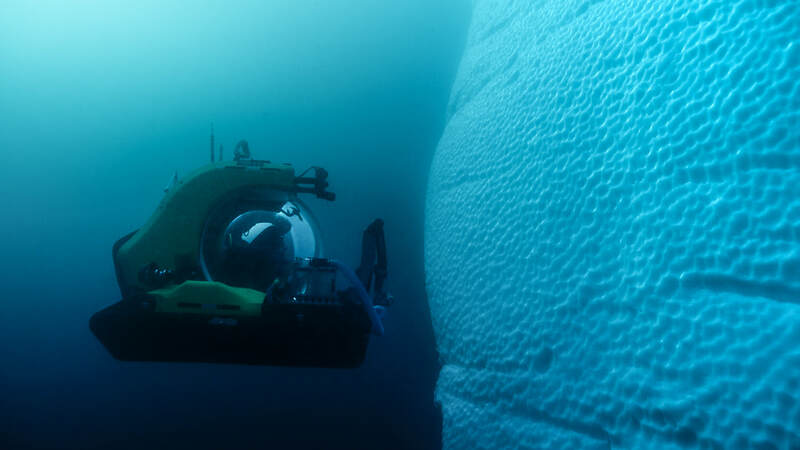 The Deepest Dive in Antarctica Reveals a Sea Floor Teeming With Life Trailer from Jackson Wild on Vimeo. 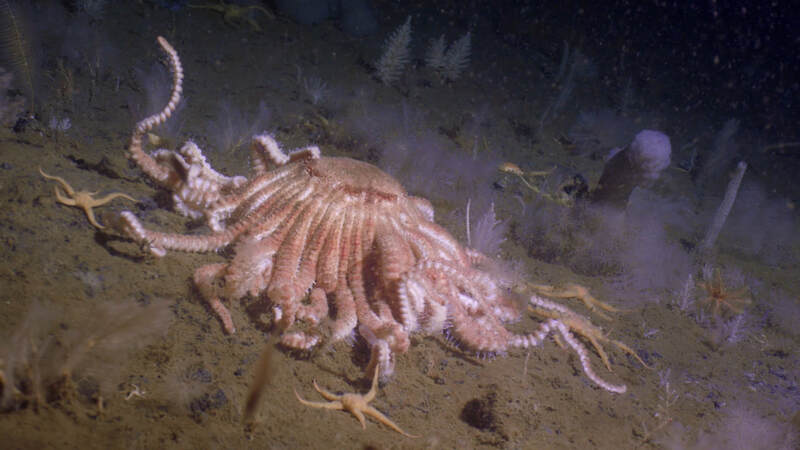 ​Field Producer Erika Jarvis: The Northeast Canyons and Seamounts is a marine national monument designated in 2016, the only one in the Atlantic Ocean. This area has been known to fishermen, marine biologists, and MA seafarers for decades as a particularly abundant part of the world, due in part to its enormous underwater canyons and tall underwater mountains (which become aggregation points for life in the ocean). However, on April 26, 2017, an Executive Order was signed that threatens to carve up or abolish dozens of National Monuments across the nation, and this area was one of them. As part of a new partnership between OceanX and Bloomberg Philanthropies, we wanted to make sure that people knew not just about the beauty of the corals and marine life in this area, but about its importance for biodiversity and scientific research. EJ: Meaningful was experiencing what they mean by “biodiversity hotspot” in person. 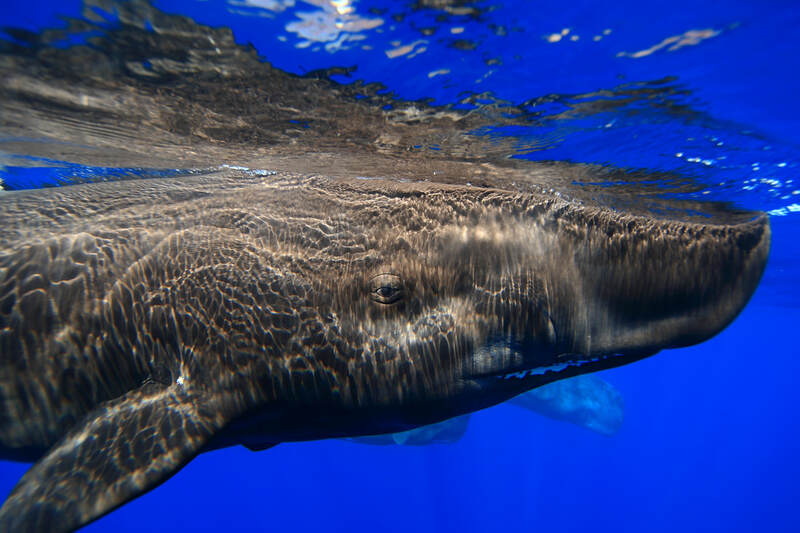 It was not uncommon to see whales and dolphins on a near-daily basis, as well as large predatory fish like tuna. As for the scientists, they got to see things that are incredibly rare and valuable to experience in person, since access to manned submersibles like those aboard OceanX’s Alucia is still relatively uncommon. In this case, they toured mountainous walls of corals, some which are hundreds of years old. ​EJ: The film was recently screened at a Congressional Briefing in Washington on the importance of national monuments. Dr. Tim Shank, of Woods Hole Oceanographic Institution, was the chief scientist on the mission, and he explained it beautifully on the day: “There are key places in our ocean that allow magnificent leaps in our understanding of the oceans, and it’s important to communicate this to public and policy-makers.” From a general audience perspective, it is good to remind people that coral reefs are not these distant, vacation-destination lifeforms, but that they are growing and thriving within striking distance of the most heavily populated parts of our nation, and that they are part of our shared natural heritage. EJ: We embarked on the mission just as Hurricane Florence began forming in the Atlantic. It was a series of darted trips out to the open ocean for dives, then back behind the safety of the Cape Cod peninsula to wait out the huge swell. Luckily, our captain and crew are extraordinarily safety oriented, so we were never at risk, but it did limit the number of exploratory dives we could make. Shark: Episode 1 Trailer from Jackson Wild on Vimeo. 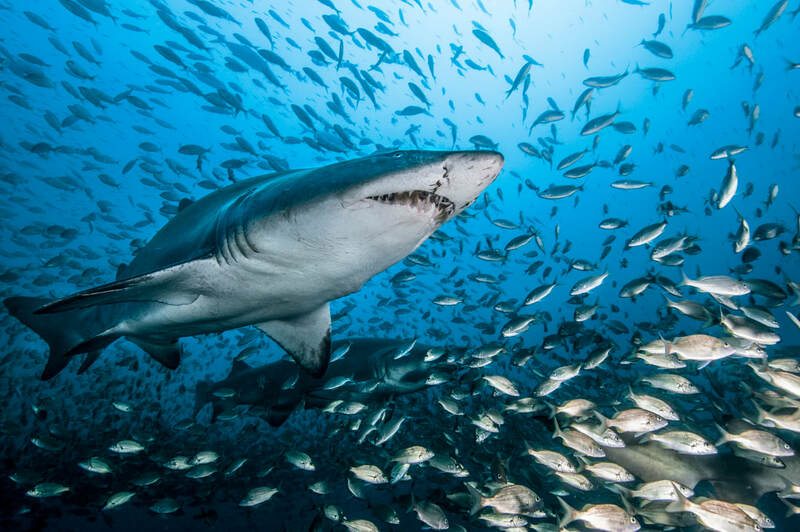 Producer and Director Steve Greenwood: The image of sharks in the media is very negative, yet they are fascinating surprising creatures. So many documentaries focus only one a tiny number of species and I wanted to show the global audience the incredible variety of species and adaptations. Later films in the series showed their adaptations to different life histories and their vulnerability to exploitation. SG: The film has been shown in many countries around the world. 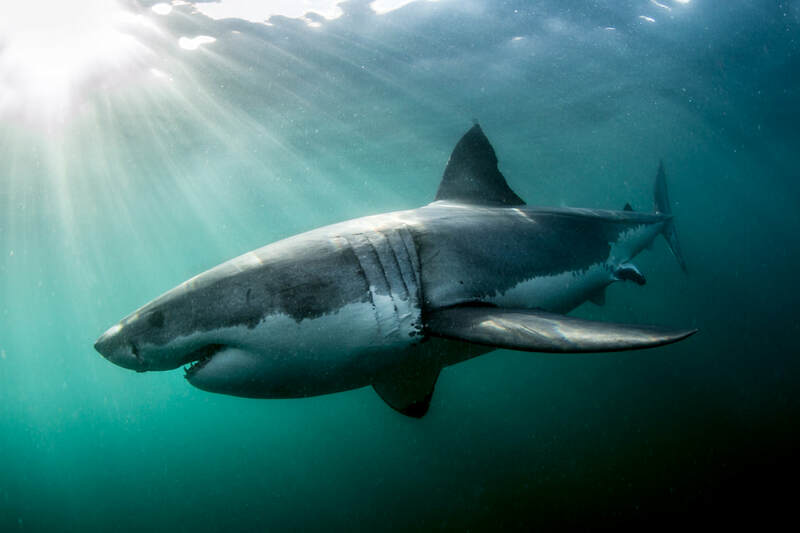 I hope it will inspire a new generation of young people to become shark scientists and the wider public to understand that these are remarkable and fascinating features. I also hope it will help to change attitudes amongst those who consume or catch shark. ​SG: The team had to film under the arctic ice to find the Greenland shark. It involved cutting a hole in the ice that was over 12 feet thick and the filming team to drop into water that was minus 1 degree centigrade. Diving with only a small exit hole in these conditions requires intricate planning and a lot of skill and bravery. The Secret Life of Plankton Trailer from Jackson Wild on Vimeo. Directors Sharif Mirshak and Noé Sardet: Our series Plankton Chronicles had recently been published online. 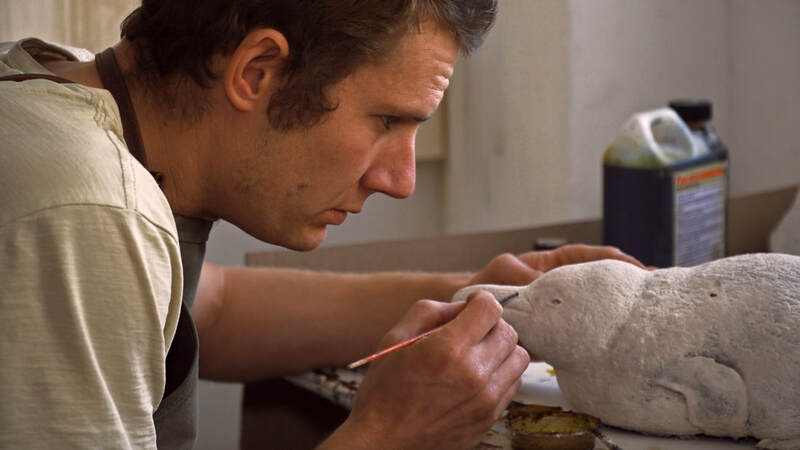 Christian Sardet and Parafilms had produced 13 short episodes, exploring the beauty of marine life adrift in currents. Meeting Tierney Thys then kickstarted a series of creative collaborations. Deemed “first TED talk ever given by a fish”, Secret Life of Plankton actually launched the TED-Ed platform in 2012. Our team is still united by love and fascination for the underwater world. SM and NS: Filming predation and odd behaviors in macro is very challenging. Plankton is collected in the ocean with fine-meshed nets and usually filmed in a lab, using petri dishes and aquariums. Some shots were obtained on board the Tara Oceans expedition, but most came from the marine station in Villefranche-sur-Mer in southern France. It’s important to handle plankton carefully and control the environment to ensure their survival. Depth-of-field is incredibly shallow and it can take hours to obtain footage. Our actors give us a hard time! 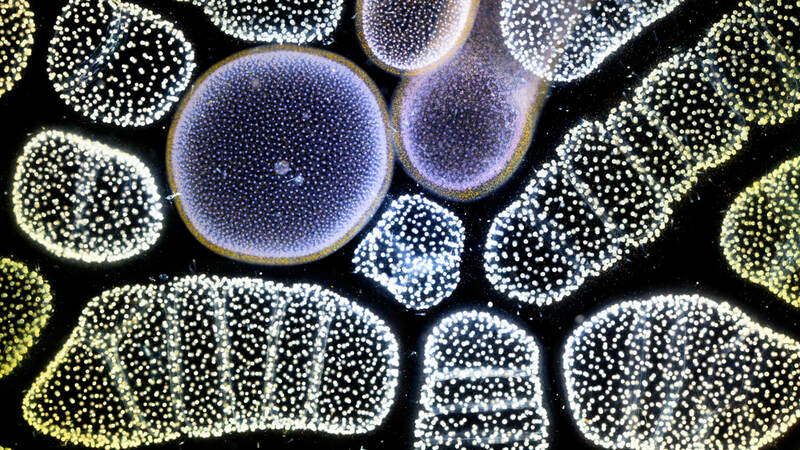 Capturing this amount of plankton images requires luck and patience. ​SM and NS: Sharing the beauty of marine life can inspire people to protect the ocean. We hope viewers marvel at the wonders of the sea and learn about plankton’s importance for life on Earth. A major source of oxygen and petroleum, plankton captures CO2, regulates our climate and shapes our future. ​Secret Life of Plankton was our first short in a series called Stories from the Sea, all created with Tierney Thys. After a dead fish, we continued to use unusual narrators (sea urchin larva and toy seahorse) to produce Urchin Odyssey and The Plastic Vagabond. By combining art and science, these educational films will hopefully raise ocean levels of awareness. Racing Extinction Trailer from Jackson Wild on Vimeo. Director Louie Psihoyos: My wish is that the film will inspire legions of people to take action so we could avert a disaster like the Earth hasn’t had for eons. 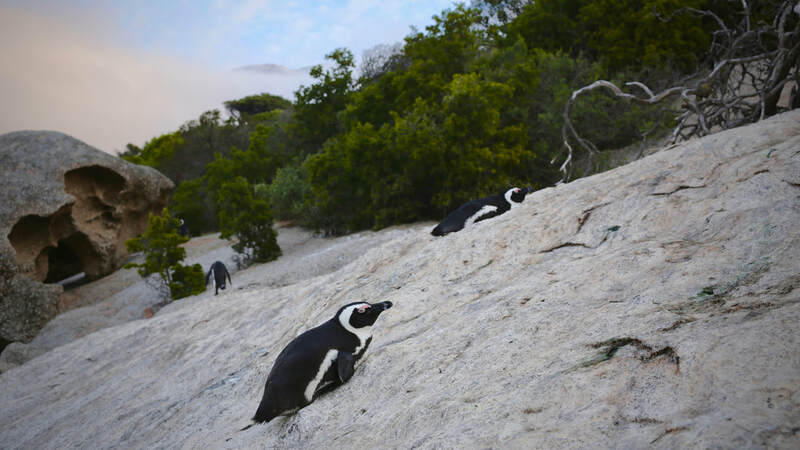 We also wanted legislation that would begin to mitigate some of the stresses on endangered species. It seems to be working. The film was seen by 36 million people in 220 countries and territories on the first day it aired. The activism around the film has helped inspire legislation that prevents some of the most endangered species from entering Western U.S. ports. 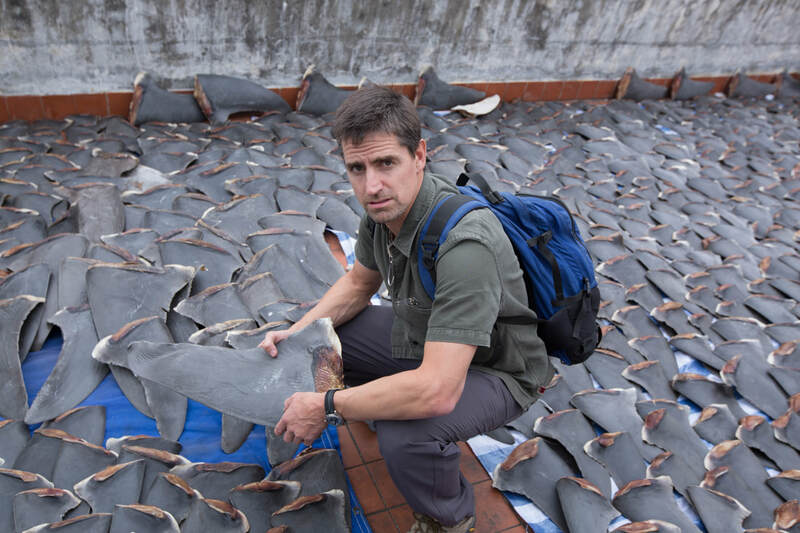 The film also led to the closing down of 6 illegal shark processing plants in China that were harvesting and trafficking endangered sharks. LP: I started the Oceanic Preservation Society with a group of friends who love to dive with the idea that we would create films to inspire people to help save the oceans. We’ve been witnessing the reefs quickly degrading over the last few decades but never really put it together that what we were witnessing was the beginning of a mass extinction event. I’ve photographed several stories on Mesozoic extinction events for magazines like National Geographic, Time and Smithsonian. When I met the provost of The American Museum of Natural History in New York he me told that we at the beginning of a human caused mass extinction event right now called the Anthropocene and that was why we were losing the reefs. The reefs he said were one of the many canaries in the coal mine for a larger catastrophe that is happening right now. I thought that there was no more important issue in the world I could be doing than to alert people to the fact that this was happening. But we didn't want to just create awareness - we wanted to create action. LP: The whole crew faced danger as shark oil buyers in China. They put themselves in harm’s way time and time again throughout the film but everyone knew the risk. But all these efforts would be pretty meaningless if nobody saw the film or took action. We knew the film wouldn’t be enough to draw attention to the subject so we spent 4-years trying to get permission to light up the Empire State Building with endangered species, an event that we hoped could end the film. In the end that event drew 939,000,000 media views in less than a week and became top trending story on Facebook and Twitter for 4 days worldwide. We thought we couldn’t get any more attention to the subject than that and then Pope called. Pope Francis is named after St. Francis, the Patron Saint of animals and he asked us to light up the Vatican with endangered species during COP 21 to remind world leaders more was at stake with climate change than humans. That event drew 4.4 billion media views and an estimated 225,000 people saw the event live in St. Peter’s Square. My Octopus Teacher Trailer from Jackson Wild on Vimeo. Producer Craig Foster: I have been diving in the kelp forest everyday for almost a decade now. I started because I was going through a very difficult time, but it became this incredible source of energy and inspiration. After almost 5 years I met a very unusual young octopus. I went back to visit her everyday for months and eventually the animal trusted me and allowed me to enter her secret world. I began to see her as my teacher because through her I learned to track underwater and discovered many animal behaviours and even species that were new to science. She also taught me about her many prey and predators and the inner life of the Great African Seaforest. I witnessed most of her life and managed to capture some of it on camera. For a time, she was the major focus of my life - I fell in love with her. I still regard that year with her as the greatest privilege of my life. When Pippa and I started going through the footage we realised we had something very special: a very personal, emotional story about an unusual animal/human relationship, but also the entire life story of an individual marine creature in the wild. CF: Any time you go into nature without a specific agenda, you find something meaningful and surprising. 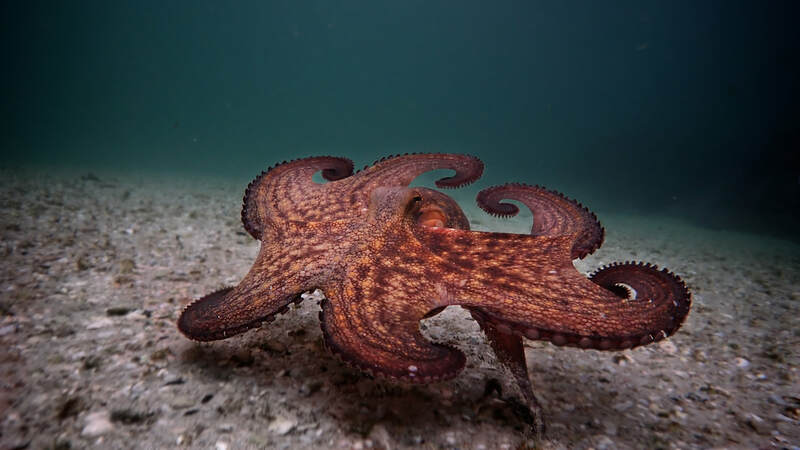 I spent hours and hours in the water with the octopus, but at the time I never had any intention of making a film, so everything I saw and learnt was a surprise and my understanding of the kelp forest expanded enormously because of that. At first I saw the Seaforest as thousands of separate creatures surviving and thriving. But over time, and especially when I was with her, I started to sense the entire Seaforest as a single living entity - a giant ecological intelligence. When you start to feel that and you start to feel that you are part of it, your relationship to the natural world changes on a physical and emotional level. I was always aware that we are damaging the ocean, but now it feels much more personal. By hurting nature we are hurting ourselves. Director Pippa Ehrlich: As filmmakers, we see ourselves as storytellers first, but when you spend thousands of hours in an environment and you start to fall in love with it, you reach a point where just sharing stories is not enough. I hope this film impacts viewers on two levels: first I hope it inspires them to explore the natural world in their own way. We are incredibly fortunate to have a seaforest on our doorstep, but I believe that it's possible to have a meaningful relationship with nature no matter where you are in the world, whether it’s with the insects in your garden, or a plant that you nurture in your apartment. 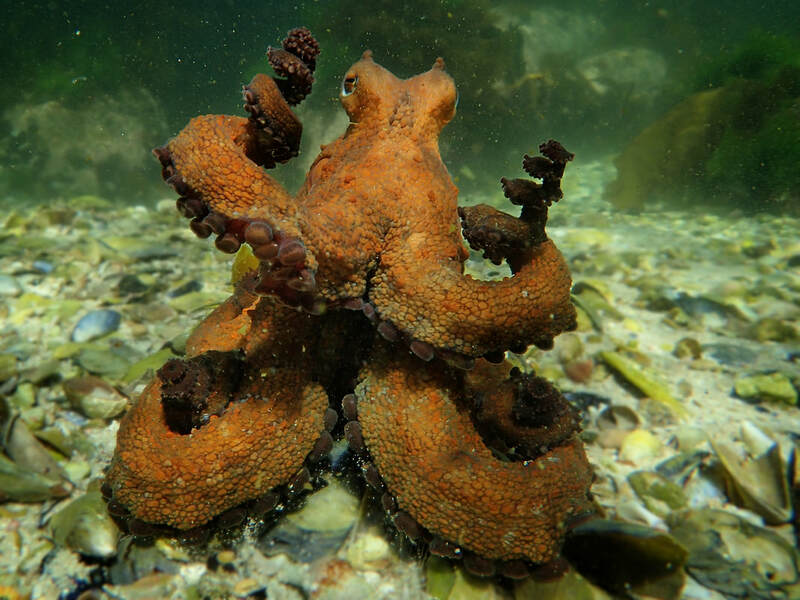 Craig spent so much time with the Octopus that he got a glimpse of how she experienced life. It’s hard to articulate but there is something deeply fulfilling and reassuring about imagining the world through another species’s eyes. It expands your perspective. Secondly, we hope that our film has a tangible impact on ocean conservation and would like to be part of the global campaign to protect 30% of our oceans by 30/30. We know that marine protected areas are not a silver bullet, but there are still so many incredible wild places on our planet, if we can at least get the right legislation in place, they will become our ecological savings accounts for the future. On a more local scale, we are working towards having the kelp forest or “The Great African Seaforest” declared a UNESCO World Heritage Site. Describe some of the challenges faced. PE: I have spent much of my career as a journalist, telling other people’s stories. In order to make this film, I needed to understand Craig’s experiences directly. Before we even started developing the script, I spent 6 months diving everyday to adapt my body to the cold and get confident enough to swim in big swell - not to mention that fact that this is one of the sharkiest bays on the planet. I also spent hours watching all of the different animals in the kelp forest and learning where to find them and how to approach them. 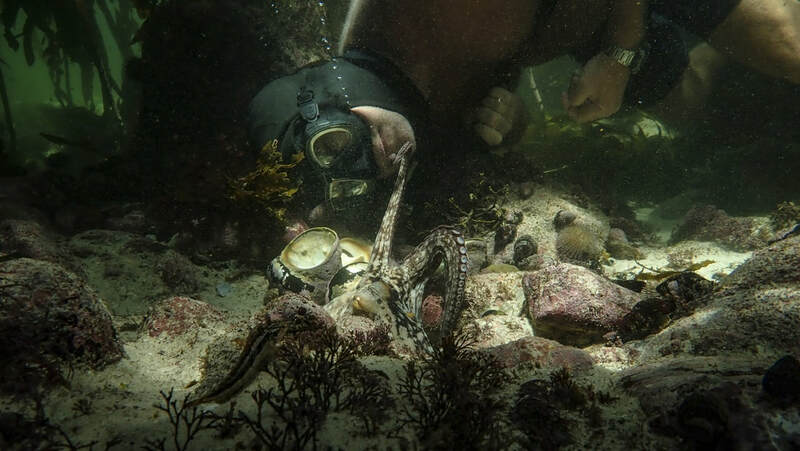 One of the biggest challenges was learning how to find an octopus and it took months before I could recognise their tracks - even with Craig’s guidance. Those were very enjoyable challenges to overcome. The more difficult challenge was that in the beginning, this project was entirely self-funded. We knew we had an amazing story, but we also knew it would take a long time to get the cut right. We were taking a big risk and weren’t sure if we would ever be able to finish it. Fortunately, we had the support of Off the Fence. They really believed in the project and without them, we could never have got it to this point. What drove you as a filmmaker? CF: I have made a lot of films, but I have never told my own story before. There is something very powerful but also scary about doing that. My mother dived on the day I was born and I was put in the Atlantic Ocean when I was two days old. I started skin diving at 3, so my relationship with the Seaforest is one of the most precious things in my life. She has become my underwater home and I can’t imagine life without her. I wanted to share my experience with the Octopus and make a beautiful film, but more than that I wanted to honour this incredible environment because it has given me so much. My greatest wish is that this film can somehow inspire people to protect the Seaforest and the ocean that feeds it.